A collection of poetry written out of a day by day bond with existence. 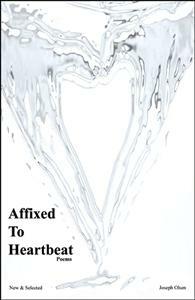 Affixed to Heartbeat is Joseph’s first collection of poetry written out of a day by day bond with existence. These poems are both aspiring and imaginative, guiding us through a labyrinth of experience and thought. Covering expression and love to lady bugs and owning Manhattan. Deeply grounded in the everyday, these attentive, imagistically precise, celebratory poems reveal the interconnections between interior and exterior worlds. Concrete and wedded to the tactile world, these poems give an other-wordly beauty and resonance.